Jetzt ist es also offiziell: Garmin-Asus wird kommende Woche beim Mobile World Congress (MWC) in Barcelona das nuvifone M20 vorstellen. Das M20 ist das zweite Telefon aus der nuvifone G60-Serie, das ebenfalls auf Windows Mobile 6.1 basiert. Das M20 hat einen 2,8-Zoll-VGA-Touchscreen, Quadband-EDGE / triband HSDPA das Übertragunggeschwindigkeiten von bis zu 7,2 Mbps erlaubt. Dazu gibt es WiFi, Bluetooth – und selbstverständlich auch ein GPS-Navigationssystem von Garmin. Schon seit vergangener Woche kursierten Spekulationen um das Garmin-Asus-GPS-Mobiltelefon. Mit der Pressemitteilung und den ersten Bildern ist das M20 nun offiziell. Und zur Überraschung vieler sieht das „WinMo“-basierte Gemeinschaftsprodukt von Garmin-Asus rundum wesentlich schicker aus als erwartet werden durfte. GRMN 16.95, -0.11, -0.6%) , and ASUSTeK Computer Inc. (TAIEX: 2357), today announced the Garmin-Asus nuvifone M20, an all-in-one phone, mobile web-browser and premium navigation system with a Windows Mobile operating system. The Garmin-Asus nuvifone M20 will be on display at GSMA Mobile World Congress in Barcelona, Spain, February 16-19, 2009, at the Garmin-Asus exhibit (Hall 7, #7C37). As the first Garmin-Asus nuvifone powered by Windows Mobile 6.1 Professional with enterprise email, the sleek and colorful nuvifone M20 is designed for on-the-go professionals who want a fashionable and functional smartphone to manage their busy work and personal lives. This powerful device combines a dual-band 3.5G/tri-band GSM phone with Wi-Fi connectivity, desktop-like internet browser, push email, document viewing, multi-media capability, Bluetooth(R) and Garmin sat nav. The nuvifone M20’s full QWERTY soft keyboard makes it easy to send and receive SMS, MMS and emails. The nuvifone M20 can also be synched with a computer so that contacts and emails are always available. HSDPA wireless connectivity and enterprise grade Wi-Fi (802.11 b/g) ensure messages are sent and received quickly, including those with attachments. Recognizing that location is relevant to every aspect of every day, the nuvifone M20 is designed with location based services (LBS) at its core and has the most advanced LBS experience of any Windows Mobile phone. Navigation functions are linked to frequently used applications such as calendar, contacts, email, internet applications and more, simplifying the nuvifone user’s day as they travel from one location to another. The nuvifone M20 supports download speeds of up to 7.2 Mbps and offers a desktop-style web browsing experience. Users can zoom and pan web pages with their finger as they view the information in either portrait or landscape orientation. In addition, they can easily navigate to an address on a web page with only a few taps of the screen. The GPS features of the nuvifone M20 usher in a level of sophistication never seen before on a Windows Mobile smartphone. It has the navigation capability of a premium Garmin nuvi(R) sat nav, and comes with preloaded maps and points of interest (POIs) – hotels, restaurants, stores, fuel stations and more – for North America, Eastern and Western Europe, or other regions. Selecting a destination is straightforward and requires limited input from the user. For example, users can search for a destination by typing in the specific name or address of an establishment, search by category, or navigate to addresses in the nuvifone M20’s contact database or on the web. The device then gives turn-by-turn voice-prompted directions and automatically recalculates if a turn is missed along the way. In addition, the nuvifone includes quick access to online points of interest through internet enabled local search. The nuvifone harnesses the power of the worldwide web and information about local merchants and attractions is continually updated. The nuvifone M20 takes GPS navigation one step further via Connected Services, a suite of online applications and data from Garmin-Asus that adds location intelligence to navigation, phone and browser functions. The expandable list of applications includes content like real-time traffic information, White Pages, weather, flight status, local events, and movie times. The nuvifone product line also includes Ciao! (TM), a ground-breaking LBS application that helps users stay up to date on their friends‘ whereabouts and status by linking numerous location-centric social networks. Through Ciao!, nuvifone users will see their friends‘ location on a map and then be able to navigate to that location with ease. Nuvifone users can also choose to have the nuvifone automatically update their social network location information. The nuvifone M20 has exceptional entertainment capabilities with the combination of a 2.8″ TFT touch lens display, built-in microphone and speakers, built-in 4Gb/8Gb My Storage, and ActiveSync(R) for Outlook(R), Microsoft(R) Office, and multi-media synchronization. The VGA (640×480) display brings action to life when watching video or looking at photographs. The three megapixel camera automatically geotags images with the exact latitude and longitudinal coordinates. Users can then save the image on their phone, email it to a friend, or navigate to where the image was taken. Garmin-Asus expects to announce the nuvifone M20’s pricing and availability information in the first half of 2009. Journalists should contact Garmin-Asus media representatives to arrange product demonstrations or interviews. Additional information about the nuvifone product line is available at www.GarminAsus.com. The global leader in satellite navigation, Garmin Ltd. and its subsidiaries have designed, manufactured, marketed and sold navigation, communication and information devices and applications since 1989 – most of which are enabled by GPS technology. Garmin’s products serve automotive, mobile, wireless, outdoor recreation, marine, aviation, and OEM applications. 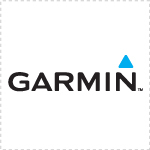 Garmin Ltd. is incorporated in the Cayman Islands, and its principal subsidiaries are located in the United States, Taiwan and the United Kingdom. For more information, visit Garmin’s virtual pressroom at www.garmin.com/pressroom or contact the Media Relations department at 913-397-8200. ASUS is a leading company in the new digital era. With a global staff of more than ten thousand and a world-class R&D design team, the company’s revenue for 2008 was 8.1 billion U.S. dollars. ASUS ranks among the top 10 IT companies in BusinessWeek’s „InfoTech 100“, and has been on the listing for 11 consecutive years. ASUS was also selected by the Wall Street Journal Asia as No.1 in quality and service. 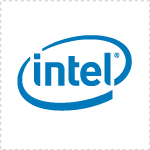 ASUS is a registered trademark of ASUSTeK Computer Inc. Garmin and nuvi are registered trademarks, and nuvifone and Ciao! are trademarks, of Garmin Ltd. This release includes forward-looking statements regarding Garmin Ltd. and its business. All statements regarding the company’s future product introductions are forward-looking statements. Such statements are based on management’s current expectations. The forward-looking events and circumstances discussed in this release may not occur and actual results could differ materially as a result of known and unknown risk factors and uncertainties affecting Garmin, including, but not limited to, the risk factors listed in the Annual Report on Form 10-K for the year ended December 29, 2007, and the Quarterly Report on Form 10-Q for the quarter ended September 27, 2008, filed by Garmin with the Securities and Exchange Commission (Commission file number 0-31983). A copy of Garmin’s Form 10-K can be downloaded at www.garmin.com/aboutGarmin/invRelations/finReports.html. No forward-looking statement can be guaranteed. Forward-looking statements speak only as of the date on which they are made and Garmin undertakes no obligation to publicly update or revise any forward-looking statement, whether as a result of new information, future events, or otherwise.